ABOUT | Welcome to Markato Music ! Mark Chosak, a native of Los Angeles, has enjoyed a diverse career in the audio industry – beginning with a formal music education at UCLA and The Grove School Of Music; leading to his work as a composer and sound designer for a variety of media companies. He has composed soundtracks and created sound design for film, television, video games and internet-related audio design for high-end websites and online games. 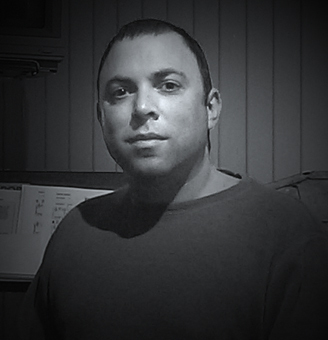 As the in-house audio-director for Visual Concepts in San Rafael, CA, Mark handled all audio content and design for almost every game in development. His duties included working daily with programmers and graphic artists to integrate high-quality audio content into each project, often co-developing proprietary sound tools and implementation schemes. As the games were being published by leaders in the industry, such as Electronic Arts’ Madden NFL, NHL Hockey and other titles, Mark was deeply involved in all phases of audio development for console and PC platforms. After returning to Los Angeles, Mark worked in-house for Blitz Agency – a top internet advertising agency for film companies, Fortune 500 companies and game developers, where he created original music and sound design for many award-winning websites and online games. Currently he is busy composing music for several popular tv shows, producing recording projects, and enjoying performing locally in Los Angeles and San Diego.